Prevention is better than cure.This is applicable for eye health too.So do take good care of your eyes. This can be done by taking HealthAid Eyevit®which has been specially formulated to help maintain complete eye care by providing vital nutrients for the short and long term protection of the lens and retina of the eye. Eyevit® helps maintain eye health and normal eye moisture, particularly for contact lens wearers and computer screen users. EyeVit® provides high levels of antioxidants, vitamins, minerals bioflavonoids and natural carotenoids. - Provides nutritional support to the eyes. Adults and children over 12 years of age, one tablet daily with breakfast as a food supplement.Do not exceed recommended daily intake unless advised by a suitably qualified person. 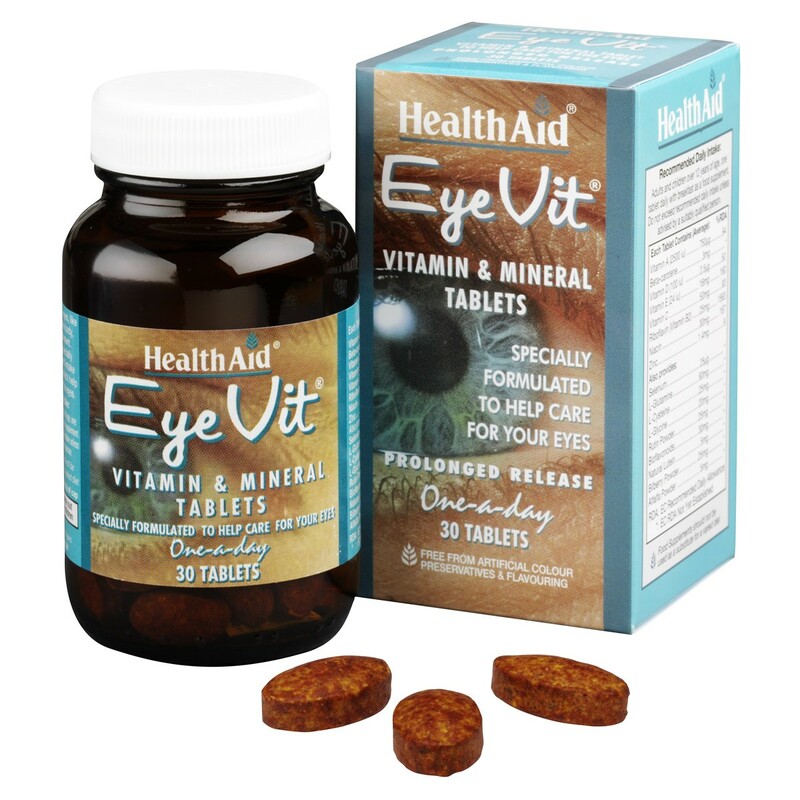 Thank you for your interest in HealthAid Eye Vit - Prolonged Release. Enter your email and we'll contact you as soon as it's available again.